In Colorado when a driver is lawfully stopped on suspicion of impaired or intoxicated driving, this kicks in a series of steps that includes a request from a law enforcement officer for a blood alcohol concentration (BAC) test. The critical issue here is the extreme contrast to being stopped by an police officer for other driving violations. The result of an impaired driving stop may dramatically impact a person’s life which include an arrest, possible jail time, heavy fines, possible increased insurance costs, loss of the right to drive, and a permanent criminal record. The Colorado driver’s decision whether to provide the breath test has serious consequences. Citizens who have never had ANY contact with the Colorado criminal justice system are instantly plunged into a world of police, judges, criminal defense attorneys and prosecutors. 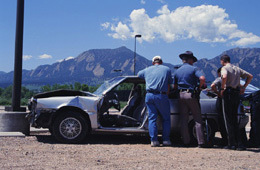 How the Colorado driver responds to the officer’s request to provide a body fluid sample (typically a blood or breath test, though it may be a urine test) that measures the concentration of alcohol or drugs in the driver, has a direct impact the on the course of the State’s prosecution and may affect the resulting sanctions. You need to know all aspects of this important decision and the likely consequences of that decision. In 1966 – the United States Supreme Court determined it was permissible for law enforcement to use force, if necessary, to compel an impaired driving suspect to take a BAC test (Schmerber v California, 1966). In this case, the suspect fled the scene of a crash involving serious injury to a young child and then refused to cooperate with a request to take a BAC test. In response to this case, most States – including Colorado – enacted laws allowing a driver to refuse to provide a body fluid sample for BAC testing, but the act of refusal would subject the driver to an administrative license suspension or revocation. 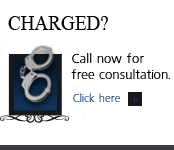 Colorado DUI – DWAI Cases often turn on the results of the so called breath or blood alcohol test. In Colorado, all drivers are required to submit to a breath, blood or urine test after a lawful DUI – DWAI arrest. Refusing a test of this kind can result in a lengthy Colorado driver’s license suspension, even if the driver is not later convicted at trial of the DUI in the criminal court. The impact that a breath test refusal has on a client’s criminal case as well as on his or her driving privileges. By providing experienced legal counsel in criminal court and at the DMV hearing held to contest the suspension of your license, we strive to protect a client’s freedom and driving privileges. 2013 Colorado Legislature Eases Pain In DUI Refusal Cases – As of January 1, 2014, individuals who have refused to take a breath or blood test under Colorado’s Express Consent Law will no longer suffer the Draconian punishment of being banned from the roads for a full year. As a result of some clear thinking legislators, HB 13-1240 was enacted and will be effective at the start of new year with individuals who have lost their driving privileges in 2013 being “grand fathered” in. Before 2014, a Colorado driver who refused the blood – breath test in Colorado lost ALL rights to drive on the roads of Colorado (no probationary drivers license, no red-license, no hardship license, or no early reinstatement with the restriction of an ignition interlock device) for ONE YEAR if he or she was revoked at a DMV hearing). On January 1, 2014 a FIRST TIME DUI or DWAI, Driver, who has refused – under the Colorado Express Consent Law (LINK) and who previously would have lost his or her driver’s license for a FULL year based on a refusal will now have the right to apply to reinstate that driver’s license with the installation of an ignition interlock device after two month period of no-driving. 2013 Colorado Legislature Eases Pain In DUI Refusal Cases – New Law Allows For Earlier Reinstatement With Interlock Device – You May Be “Grand Fathered” In – Prior One Year Express Consent Revocations From 2013. At the last two revocation hearings I handled – I was informed by hearings officers that if you are currently suspended for one year under the old law – as of January 1, 2014 – you will be grand fathered in and be eligible to reinstate under the new law as of January 1, 2014 IF you have served at least 60 days of the no driving period. What the legislature gives with one hands it… The definition of a “persistent drunk driver: will also be lowered from the current Blood Alcohol Level of .17 to a new BAC of .15. Under the change – a persistent drunk driver will be required to use the interlock device for TWO YEARS as a condition of their restricted driver’s license. If you have multiple DUI – DWAI- DUID convictions and have suffered the long term loss of your driver’s license, the new law will also permit you to reinstate after 30 DAYS of “no-driving” if you go through the Colorado DMV reinstatement process and have an ignition interlock device installed on your vehicle. Before the enactment date of the new law under HB 13-1240 – with few exceptions, a Colorado driver’s license revocation must run consecutively and not concurrently with any other revocation. After the new law is set to go into effect, for crimes committed on or after Jan. 1, 2014, (again with certain defined exceptions), a Colorado driver’s license revocation is allowed to run concurrently with any other revocation presently in force and effect. This new benefit – concurrent vs consecutive periods of license revocation also applies to Colorado drivers license revocations for express consent refusals. Under current law, the revocation was not allowed to run concurrently, all previous or subsequent suspensions, revocations, or denials. The new law provides, for refusals related to crimes allegedly committed on or after Jan. 1, 2014, (again with certain defined exceptions), that the Colorado driver’s license revocation can run concurrently with any other revocation presently in force and effect and the time of the most recent refusal based revocation. For many years I watched as individuals with families lost their employment, their homes, their marriages in some instances and the systematic destruction of their lives as a result of one bad decision made while they were under the influence. This new law finally adds some sanity to our system and permits individuals who have refused “the test” to pick up the pieces of their lives and to continue to support themselves and their families while they pay their debt to society for one mistake. It is a much saner system now and my thanks go out to our Colorado State Legislature for finally reversing this terrible law. 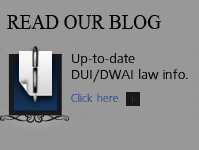 If you have questions about this article – 2013 Colorado Legislature Eases Pain In DUI Refusal Cases – New Law Allows For Earlier Reinstatement With Interlock Device, please feel free to call our law firm. At the criminal end of the case – the trial – not only are the results of a breath, blood or urine test used against you in court, the refusal to take the test is used against you. The question raised by the DA? If the Defendant was NOT impaired why not take the test that would show his or her blood alcohol concentration? Intentionally refusing to “cooperate” with the police during a blood or breath test procedure – such as refusing to blow enough air into the breathalyzer – also constitutes a breathalyzer refusal under the Colorado breathalyzer law. Within 7 days of a breathalyzer or blood test refusal suspension, a Colorado driver is entitled to request an administrative hearing. When the hearing is requested, Colorado Driver Control sends a copy of the documents received (the evidence packet) to the party that submitted the request. In addition, the DMV Driver Control also notifies the Colorado Hearings Division that a hearing has been granted and needs to be scheduled. This scheduling doesn’t occur for several weeks. Once the Colorado Hearings Division sets the date, a notice indicating the date, time and location (or telephone number) for the hearing will be mailed to the same address. This is a separate letter, and will most likely arrive a few weeks after the evidence packet. At the hearing the judicial officer will explain – at the very start of the hearing – that five specific issues will be addressed and then decided by a standard of proof commonly known as the “preponderance standard” or (51%) of the evidence. 1. Did the driver operate a motor vehicle in the state of Colorado? 2. Did the officer have reasonable suspicion to contact the driver? 3. Did the officer have probable cause to require the driver to take a chemical test? 4. Was the chemical test conducted within substantial compliance and was the test failed? 5. Was the driver properly advised of Colorado Express Consent Law and did the driver refuse to take the test? If it is more likely than not that the above are true, the hearing officer is going to revoke your driving privileges. That is why you need an aggressive and knowledgeable Colorado DUI attorney to protect your rights and defend your freedoms. Upon conclusion of your Express Consent hearing, the DMV hearing officer will make a decision based upon evidence presented at the hearing. The hearing officer will either revoke your driving privileges or dismiss the case. If the evidence at the hearing does not prove any one or more of the five issues listed above, you will win the hearing and no action will be taken against your license. The police officer carries the burden of showing all five of these issues. It is not your job to prove these five issues have not been met. You are not required to disprove anything and almost never actually testify at the hearing. On the other hand, if the officer does prove, by a preponderance of the evidence, (again – 51%) that all five of these issues has been satisfied, you will lose your license for at least one year. The lawyer – therefore must challenge every one of these issues, through the lawyer’s questioning, in order to avoid losing your license for one year. An expert Colorado DUI – DWAI Defense Lawyer can answer your questions and address whatever concerns you may have about an alleged refusal of a breath, blood or urine test. 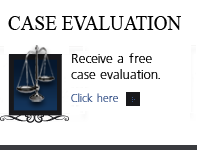 We welcome you to call us at your earliest convenience for a confidential consultation, at which point we can offer you helpful guidance related to your case. You and your lawyer should be familiar with the possible legal issues that can be used to defend you at the hearing. To get a more thorough analysis of your case and possible defenses for your “refusal” hearing, make sure to contact an experienced Colorado DUI Lawyer -Attorney. If you have questions about Colorado Refusals DUI in the Denver metropolitan area and throughout Colorado, attorney H. Michael Steinberg will be pleased to answer those questions and to provides quality legal representation to those charged in Colorado adult and juvenile criminal matters.